Vinification: Shiraz & Viognier from our Nashik vineyards are hand-picked, sorted and co-fermented together for 12-16 days for varietal expression, colour, flavor and tannin extraction. After vinification they are matured with French oak for a period of 5 to 6 months to gain complexity, structure, roundness & finesse. After oak ageing, the wine is processed with minimal filtration for bottling. Tasting Notes: This new world aromatic style of Shiraz Viognier is a unique Indian blend of Shiraz & Viognier grapes grown in Nashik. This easy drinking red has flavours of tangerine & peach from the Viognier along with red fruits & black pepper characters from Shiraz. 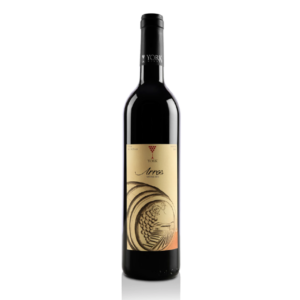 4-6 months ageing in oak gives this wine structure, balance & complex characters of mocha & dark chocolate. Grilled meats, rich chicken and lamb dishes, cheese and chocolates.